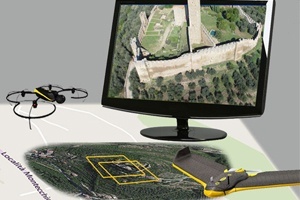 APS is the powerful and widely tested photogrammetry software suite for massive and accurate UAV data processing. APS meets all skill-level users by several interaction steps up to the full automatic process. 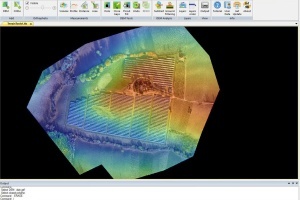 It runs on your desktop computer or laptop and processes small and medium format aerial imagery to 2D maps and 3D models with centimetric accuracy. APS handles ground-facing images coming from several kind of drone, but they must include GPS data (optionally IMU data too). Images must be acquired in strips, with a standard overlap of 70-80% (lateral and longitudinal). APS comes with 3 extension modules: StereoCAD (for stereoscopic inspection and 3D CAD plotting), TerrainTools (professional DEM editor and viewer), APSCheck (fast on field flight check).